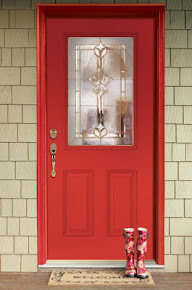 Hand Stained Fiberglass Composite Jamb System is now available as an upgrade. Woodgrain Mahogany Fiberglass wrapped composite jamb is made of the same material used in our fiberglass doors. It offers full non rot protection and is hand stained to best complement our hand stained door finishes. The hand stain method brings out the elegant woodgrain detail and truly enhances the overall beauty of the entire door system. Available in 4-9/16" width. 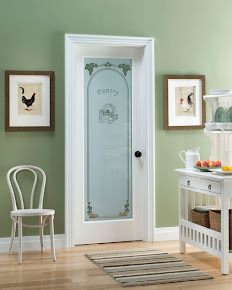 Visit our Exterior Door Builder for full offering options. 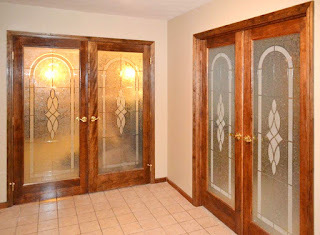 Rick M. from Parkersburg, WV shared these photos of his new Monaco interior doors from the Diamond Carved Collection. "They turned out better than expected... I am very pleased with the product." They do look amazing. Thank you for sharing, Rick. We're glad to hear that you're happy with your new interior doors.